Plump, soft and comfortable, this 85%Goose Feather 15% Down Superking Pillow has a luxuriously soft 230 thread count soft cover to grant you a peaceful night sleep. It is supremely soft, lightweight and breathable and filled with quality 85% Goose Feather 15% Down to give you high support and reliefs back pain. 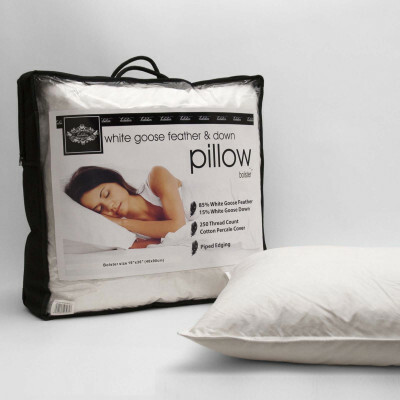 For your ease, this pillow can be machine washed at 40°C and tumble dried to keep them clean. Avoid bleaching and dry cleaning. Sizes available: 19" x 36"